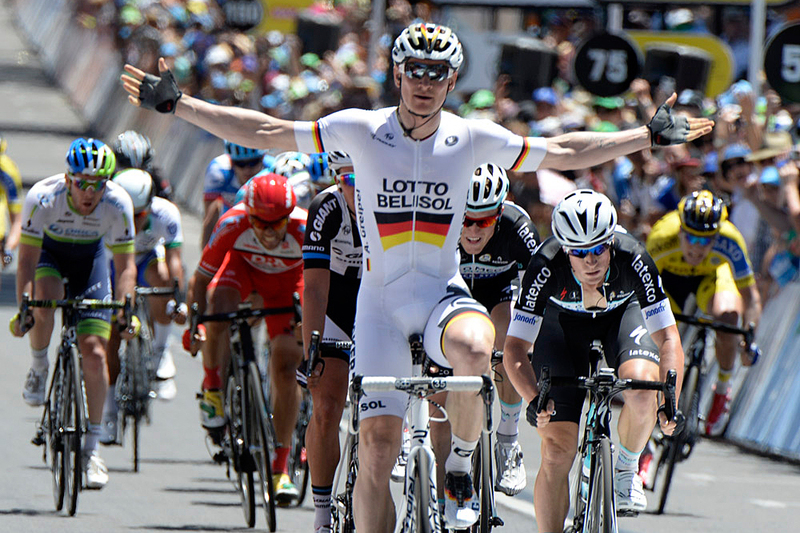 German sprinter Andre Greipel won his second stage of the Tour Down Under in Adelaide today bringing his career race total to a record 16. Greipel comfortably beat Omega Pharma-Quick Step duo Mark Renshaw and Andy Fenn, who finished second and third, respectively, in the bunch sprint at the end of the 85.5km city criterium. Marcel Kittel, who won the criterium prelude a week ago, was not in the mix and visibly frustrated at the Giant-Shimano bus after the race. Simon Gerrans kept his one second advantage over Cadel Evans (BMC) to win his third tour title with ‘home’ outfit Orica-GreenEdge. The 31 year old Greipel has a good track record at the first WorldTour event of the season but he and his Lotto Belisol team were particularly impressive during the week, and ever present in almost all stages. 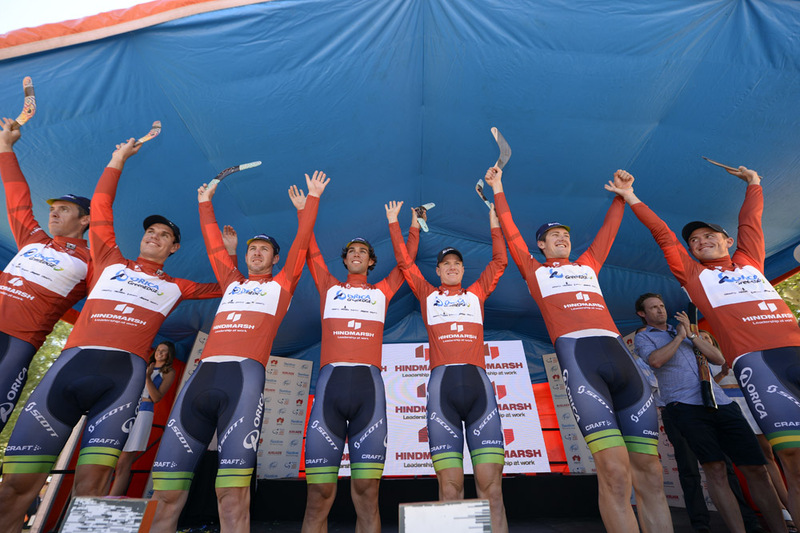 Greipel made a decisive split to win stage four to Victor Harbor, and teammate Adam Hansen claimed the King of the Mountain jersey and finished ninth overall. “Chapeau to my teammates! They rode incredibly fast so I could save myself for the last moment,” Greipel said post-race. “This is a very nice victory for us. I had fast legs today and I’m confident in my capacities these days. Will Clarke (Drapac), Maxim Belkov (Katusha) and Angelo Tulik (Europcar) escaped in the first of 18 laps in and around Rymill Park that included 10 sharp corners. Tulik crashed heavily, with Belkov running into him, on one of those and abandoned. Clarke and Belkov later regrouped with Julien Berard (AG2R La Mondiale) joining the escape that was inevitably caught as the peloton mobilised for the bunch sprint with about three laps to go before Greipel was seamlessly guided to the finish. De Kort was unsure how Kittel lost position in the race to the line. “I still have to talk to Marcel, he was angry and rode straight to the hotel so he’s obviously very disappointed,” he said. Team Sky’s Richie Porte maintained his position in fourth overall with teammate Geraint Thomas finishing eighth in the general classification. 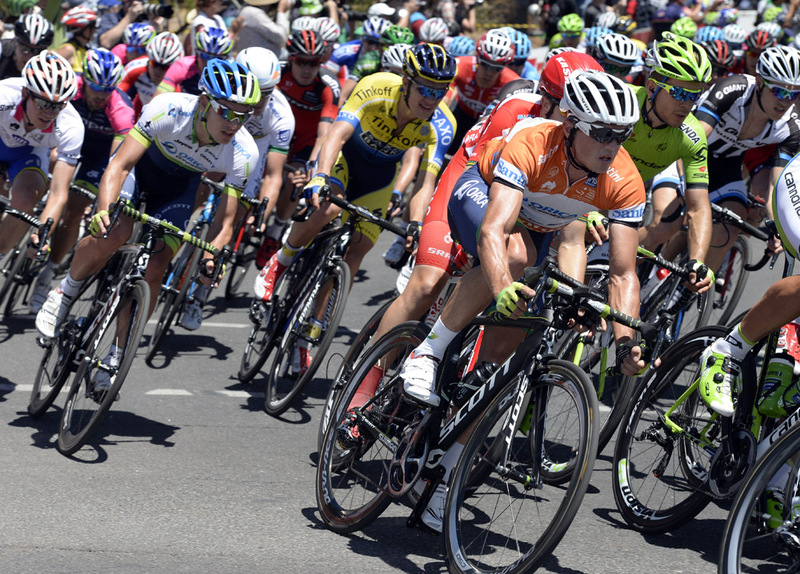 Gerrans’s title was confirmed on Australia Day making the victory extra sweet. “It’s our home tour and besides the Tour de France and pretty much the Giro it’s got more publicity than any other race in our calendar, so it’s very important for us,” Orica-GreenEdge sports director Matt White said.